Figures from the National Great Blacks in Wax Museum on display in Apalachicola. Photo Submited by Morgan Martin. 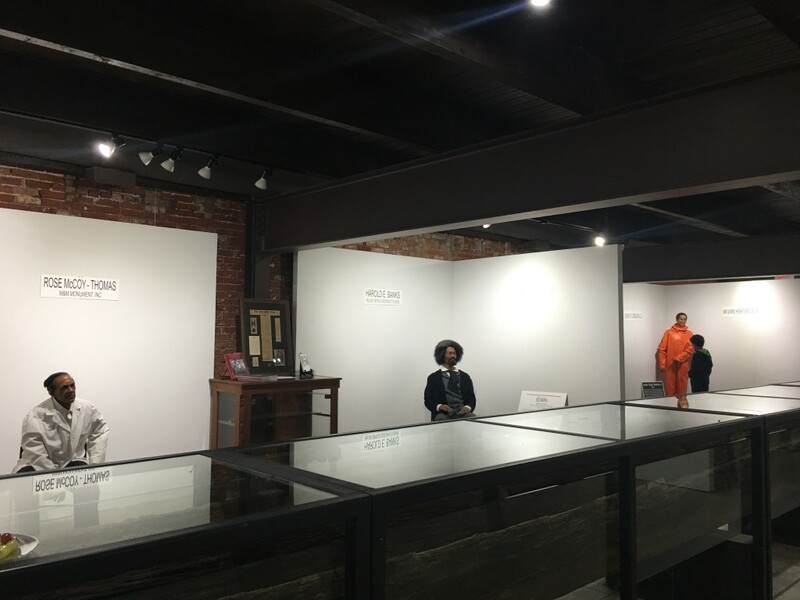 APALACHICOLA — This iconic Gulf Coast town’s History Culture and Art Center featured the National Great Blacks in Wax Museum for Black History Month. The U.S. Census shows that the black population in Apalachicola is about 29.2 percent for the town and 14 percent in Franklin County. Local schools brought students to the exhibit to help educate them on little-known facts of history. Harolyn Walker, Franklin County Schools’ reading coach, says, it was important to educate the students on different activists who played key roles in the nation’s development. She was certain many only know about leaders like Martin Luther King, Jr. and Rosa Parks. Joanne Martin, rounder of the museum, is a graduate of Florida A&M University. Right now, there are 145 figures and counting. “We’re trying very hard to expand the museum to add to the 5,000 years of history that we tell now to make that 250,000 years of history,” she said. “We have four sport figures now; we want a whole gallery of sports figures or a whole gallery of scientists and inventors or musicians and entertainers,” Martin added. The historical figures are made with significant touches. In 1988, the hair on the figures was made with human hair. Deals made with barber shops, beauty shops, and wig makers allowed the creators to use the leftover hair to complete the historical leader. As time progresses, some of the figures will be remade. The lifestyle candles are projected to last “40, 50, 60 years,” Martin said. The two-day event brought life to historical wax figures with tours led by Martin. The last day closed with light refreshments and an adult reception featuring professional saxophonist Chris Godber. Director of HCAC, Merill Livingston, hopes to make this an annual event. “Because of the great turn-out and great responses we’re getting and how interested the schools are to be involved, we’re definitely going to have it next year as well,” she said.